Hi, I found your poly tunnel layout really interesting. 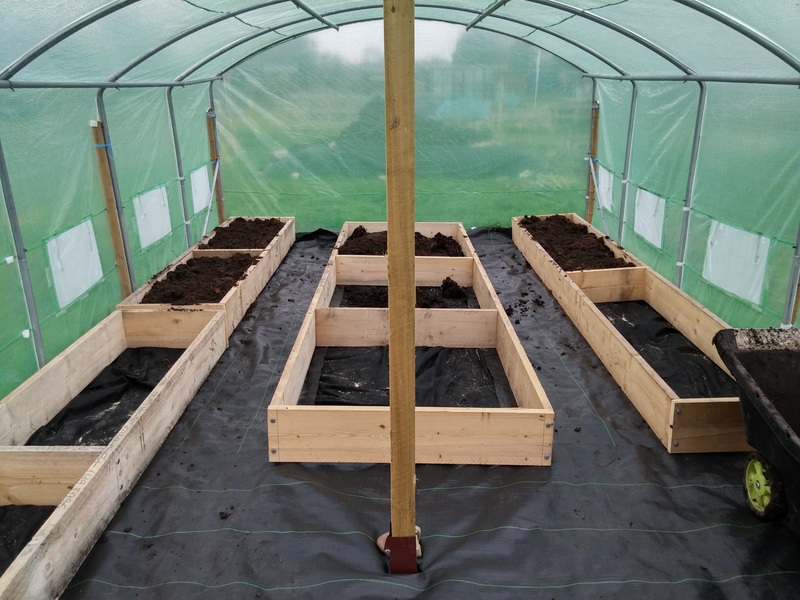 I’m not sure how old it is.Can you please tell me if you made holes in the black plastic inside the raised beds.Might sound a bit of a dumb question but need to be sure.Many thanks Janice. I’m sure you can find similar elsewhere though. We now have covered the paths with wood chip and have re-skinned the poly tunnel after the old one fell apart. Thanks very much.I know the product that lets the water through, but from your picture it looks as if you’ve used black plastic inside the raised beds and the green product which lets the water through elsewhere.